Finance Minister Grant Robertson says New Zealand banks need to be able to prove to customers they don’t operate the same way as their Australian parents. A Royal Commission in Australia revealed a culture of rule-breaking within the financial services sector, including the rigging of interest rates and allegations of money laundering. The revelations led to the resignation of AMP’s chief executive and chairman and put a dark cloud over the banking system as a whole. On Monday night, the Financial Markets Authority (FMA) and the Reserve Bank told the big four banks to prove they’re different to their Aussie parents in light of the Royal Commission revelations. “It’s not credible to just say that New Zealand is different,” FMA CEO Rob Everett told RNZ. Robertson says the approach taken by the FMA and Reserve Bank was the right one. He says the scale of the issue in Australia is “so significant, there is an obligation on New Zealand banks to show that evidence,” given the stake of Australian banks in New Zealand. 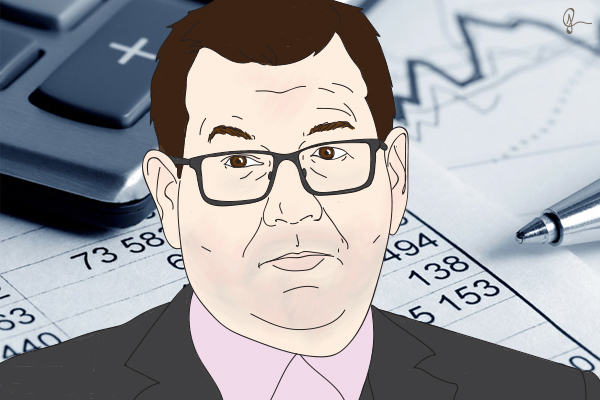 Minister of Commerce Kris Faafoi agrees with Robertson that there is no evidence to suggest Kiwi banks are operating in the same way as their parents. New Zealand Bankers’ Association CEO Karen Scott-Howman says she believes there is a strong banking culture in New Zealand. In a letter to Everett and Orr, Scott-Howman says the public has a “right to expect assurances” in light of the issues in Australia. She says in order to maintain public trust and support in the industry, the NZBA will consider adopting an industry-wide whistle-blowers’ standard, to ensure there are clear processes and safeguards for employees to raise conduct issues. Further changes to remuneration policies, to ensure retail staff no longer receive incentives based directly on sales performance, has also been mooted, Scott-Howman says. Is that not the wrong way round? We ask the banks to self confess? Surely we are paying lots of dosh to government executives to monitor, discover and expose such malpractices. What does a corporate have to do to get caught? Run a spot the Wally competition. Same with many of the government departments. Especially the Commerce Commission. It works with Catholics.. I guess so long as we promise that the penance will be nothing more than a dozen hail marys and reciting the bankers prayer a few times they will play along? It is pretty hard to believe that the parent companies have not impressed their culture on the NZ subsidiarys or did the NZ branches thumb noses at the lead given by their owner and head off in their own direction. Really? Didn't the Australian banks make exactly these sorts of statements before they were finally exposed? Here are some interesting figures that I have drawn from the Deloitte top 200 companies list putting the bank profits into perspective. If they do not convince you that we are being monumentally ripped of then nothing will. The banking sector just moves the money around for the rest of the economy where all living, working and hard stuff is done. It is largely electronic and automated. I suggest that the level of bank profits are far greater than the value of their service warrants. Obviously a sector that is grossly over fat and hopefully ripe for some form of massive disruption. While i am sure there are pockets of mis selling/customers getting ripped off, the bulk of the profits you talk about above are a function of our infatuation with property. If we had a different set of tax/planning/immigration laws in place that didnt make property such a no brainer investment, then we would have much greater investment in capital markets.. and those figures you quote above would look very different. But thats not the case.. we unfortunately are in love with housing and need the debt to finance ourselves into the ponzi scheme. That being the case.. does the banking system make super normal profits from the enormous amount of personal debt we have as a nation? A pretty strong argument can be made to say no, based on global norms. Lloyds in london just released their results the other day, and reported a Net interest margin (NIM) of 2.8%. This is one of the most competitive banking markets in the world, where margins are considered very thin in a lot of products. NIM is effectively the banks gross profit margin.. which considering it takes on a fair amount of credit risk, is pretty skinny. New Zealand banks have a NIM of around 2.3%, so make half a percent less than Lloyds and many other global peers. If housing continues to move higher in value, and people are forced to borrow ever increasing amounts just to buy a roof over their heads, then of course the banking profits will increase. The numbers above look massive because the amount of debt that produces it is massive. Your points above to me mainly show that we borrow too much money as a nation, rather than the banks taking advantage. Yes it is a shame that they are ausie owned, but again, that is because we dont save and prefer to pile everything we have into housing. Great to hear our culture is so awesome. A culture of protecting dodgy bank practices. Allowing their untrained staff to to flog us insurance and investment products. Designing new financial law to protect their practices but putting unwarranted pressure and compliance costs on the independent financial advisers out there. Nothing to see here? Yeah right bro. An important factor to consider with the Banks for NZ, is that with the exception of Kiwi Bank, they are all privately owned. On that basis alone I become very concerned when public employees, IE the RBNZ Governor, and MPs begin to say "nothing to see here". How much are the banks paying them? Should they be investigated for corruption? I just learned this morning that the banking ombudsman is in fact funded by banks. Gives new meaning to impartiality. In NZ we have a system where you are innocent until proven guilty. The fact is these practices have been going on in the banks for zonks. They have been widely publicised in Australia - and these people joining together have known about it for all that time and they have never looked? This is all about confidence in our banks. I look at Grant Robertson, Kris Faafoi and Adrian Orr leading the charge with naive comments; "no evidence, nothing there, just reassure us". I also look at the experience of each; especially Kris Faaoi not long from being a TV announcer (certainly not an investigative reporter). Grant Robertson just from nine years as as back-bencher and Adrian Orr (while having done a great job with the NZ Suoer Fund) just weeks into the job as RB Governor. It looks like we are in a ship with inexperienced officers in charge and comments from each to date this support this.